For other possibilities, request information by phone. 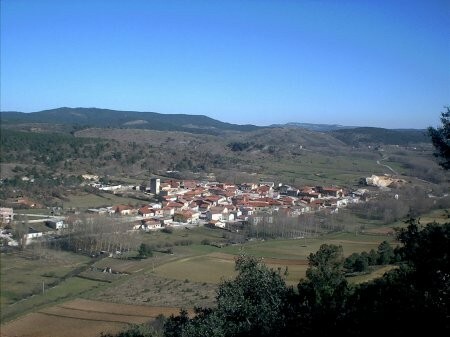 It is 1.089 m high and with an extensión of 288 km2, it is a typical village from the Pine area, with architecture in mampostery. Houses with conic fireplaces are kept and framework of adobe and wooden on the first floor; some fabric of wooden revoked with red mud. 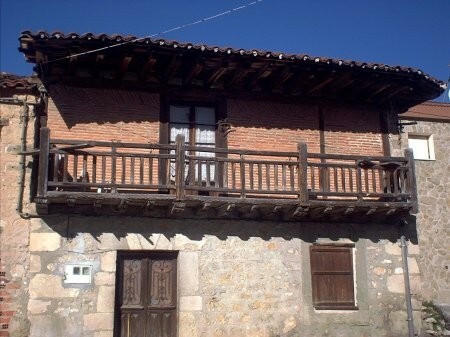 Some artistic balconies of well cultivated wooden and wide eaves of corbels and wooden highlight. 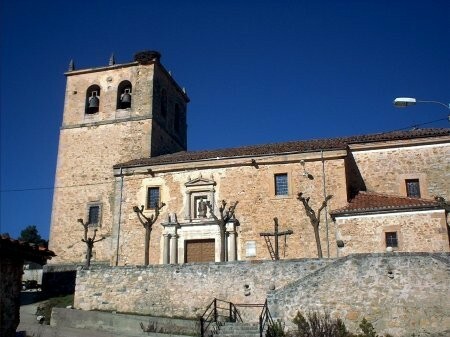 The parish church is Romanesque with later remodeling of the XVII and XVIII centuries. 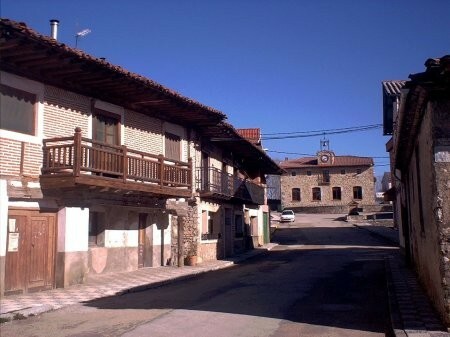 In the past it was important village in the transport of wagons, being own of the Royal Hut of Cart wrights Soria-Burgos. Today is a village mainly from the forest and from the livestock, having its term an important hunting reserve. 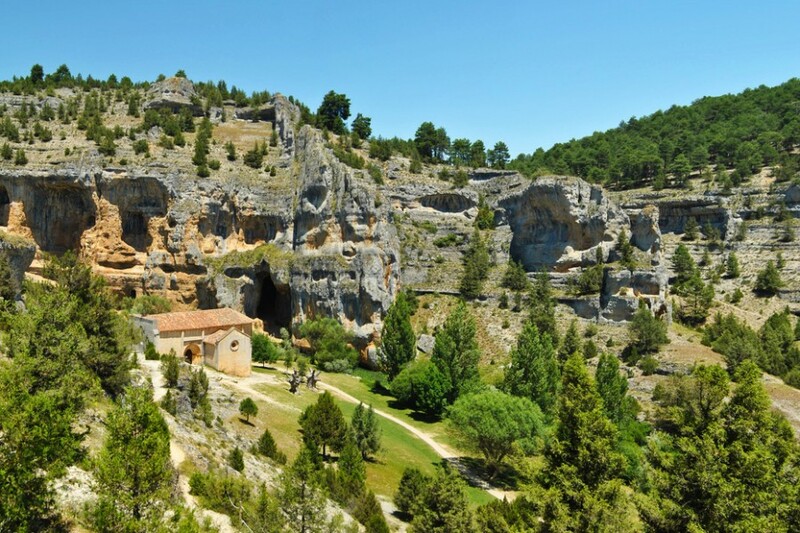 As picturesque places highlight: Navacastellanos, El Carrascal, Fuente del Pino and the Canyon of the River Lobos which is in its mainly municipal term. San Ildefonso on the 23rd of January and the Virgin of the Peace on the 24th of January, days where the dances of bickering are danced. The Virgin O on the 18th of December; and St Roque on the 16th of August, being celebrated on that day the pilgrimage to the hermitage of St Roque, rewarding to all those go to the place with bread and wine. 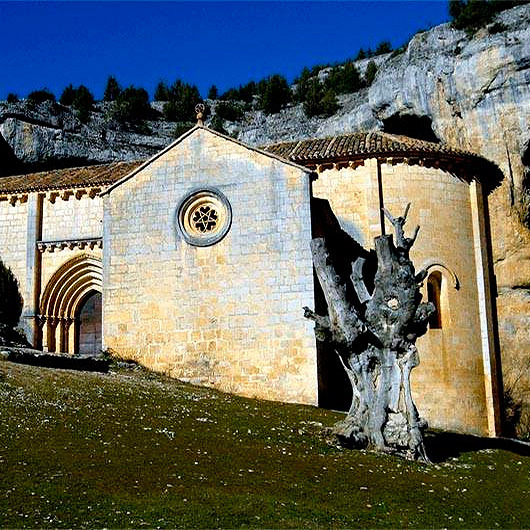 It is also celebrated on the 24th of August the pilgrimage of St Bartolomé in the Canyon of the River Lobos. As typical dish of its gastronomy, the famous “sobadillos” highlight. 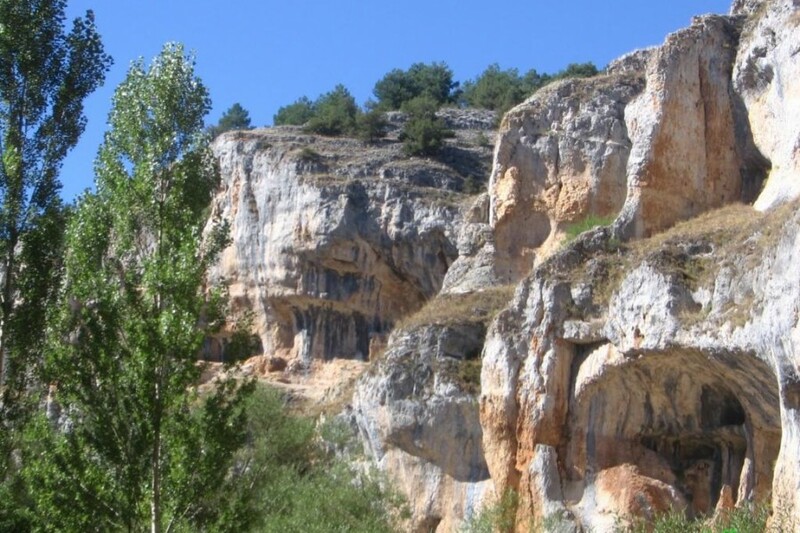 It is a deep limestone canyon built by an old and intense erosion of the river Lobos. It is located in the mountain chains that separate the foothills of the Iberian Mountain Chain and the high plateau of the Douro. 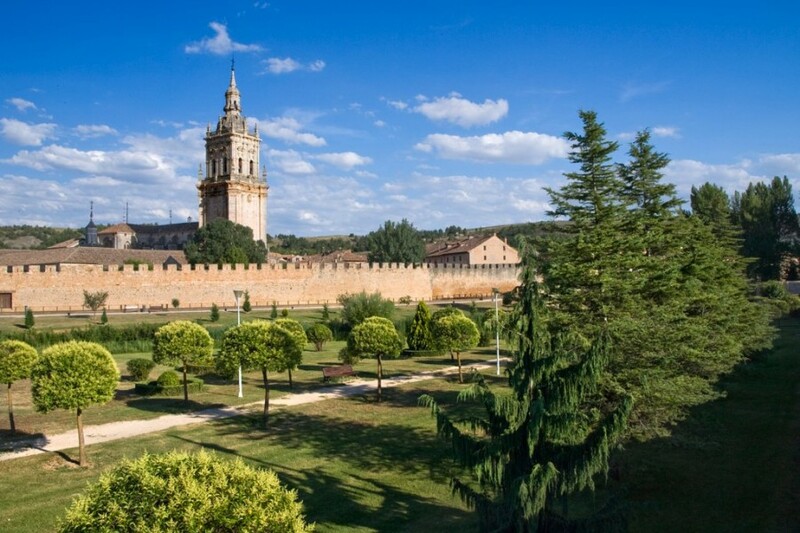 It is located 20 km from Casarejos. 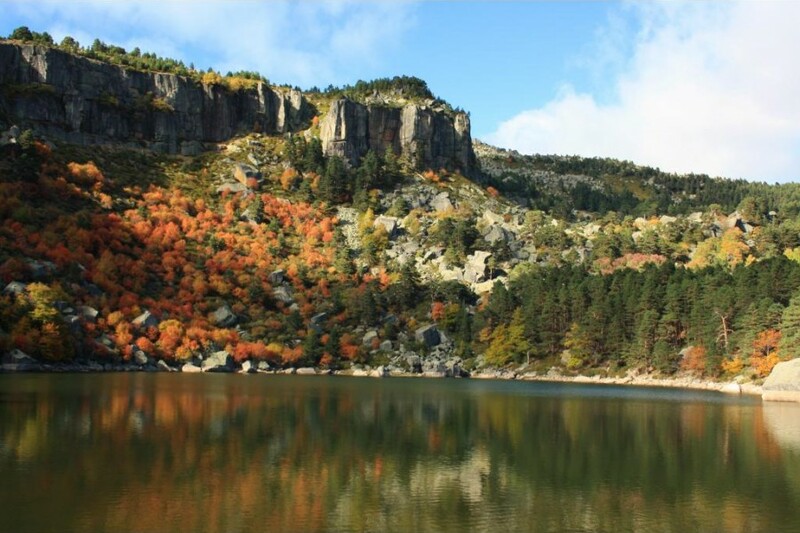 It is one of the most beautiful and paradisiac landscapes of the province of Soria. 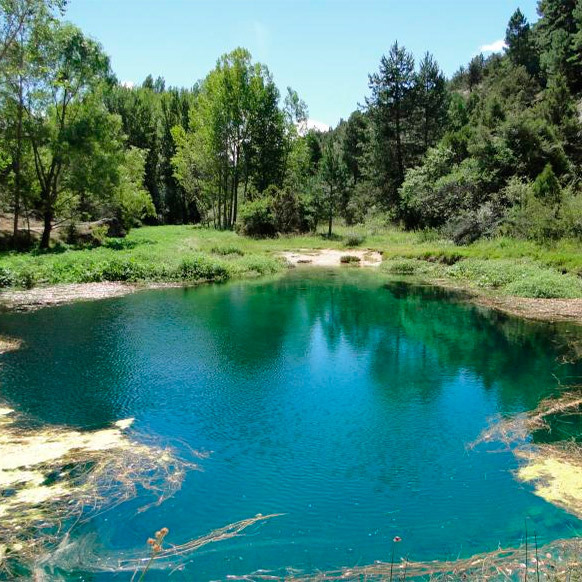 Less than half legua, on the North of Muriel de la Fuente, the super clean lagoon is the birth of the river Abión that after watering and converting into fertile the orchard of the meadows of Land of El Burgo, gives its water to the river Ucero in the episcopal villa. Funnel of karstic origin that has communication with the subway currents of the calcareous platforms of Calatañazor; its waters are so clear that seem they do not have one or two spans of depth, although the reality is that the natural spring with a depth of about 50 meters, is extended few more meters up to reach the level of the subway river that it is connected. 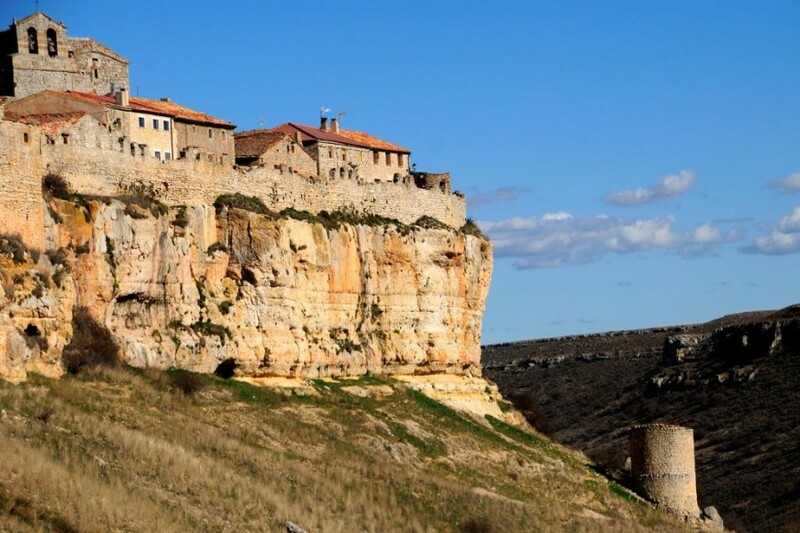 It is located about 23 km far away from Casarejos. 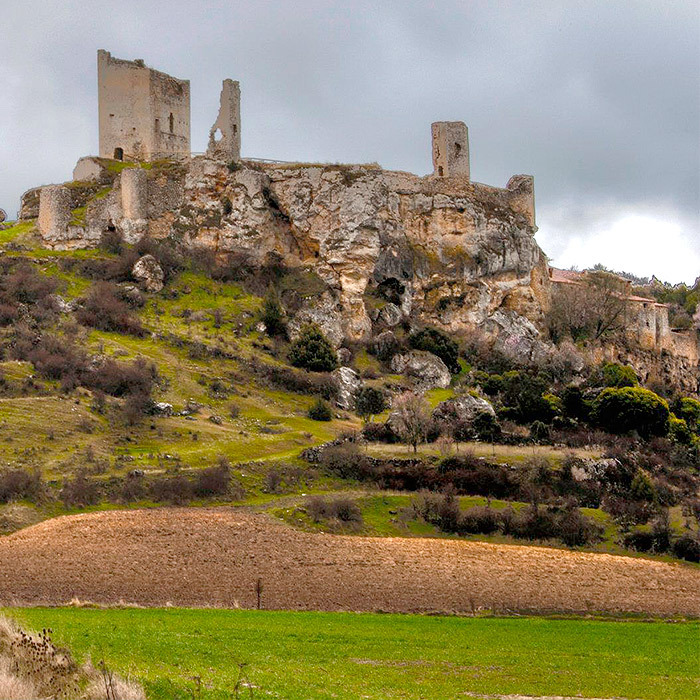 It is the most medieval village of this medieval province. Miraculously? We do not know it, but the fact is that it has been kept. Doors with old ironworks, topped roofs by conical fireplaces covered by tile, pavement of stone. 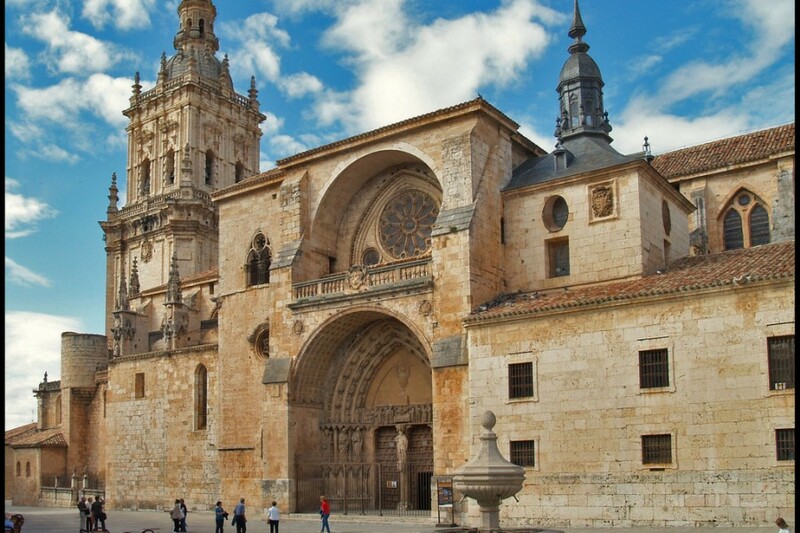 From the Castle of Calatañazor, in the end of the main Street, stone pavement, with porches, can contemplate the “Valley of the Blood”. Presumably the name is owing to the color of the river when the sun is reflected. 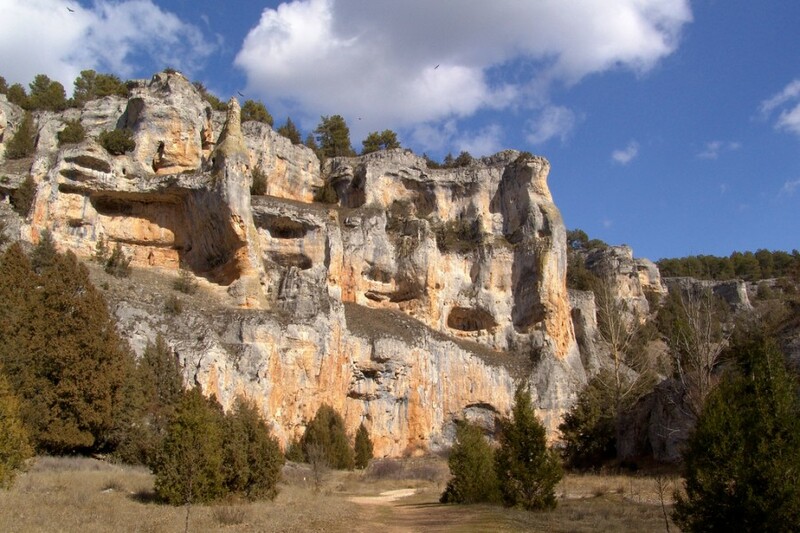 It is located 35 km from Casarejos and 45 km from Soria. 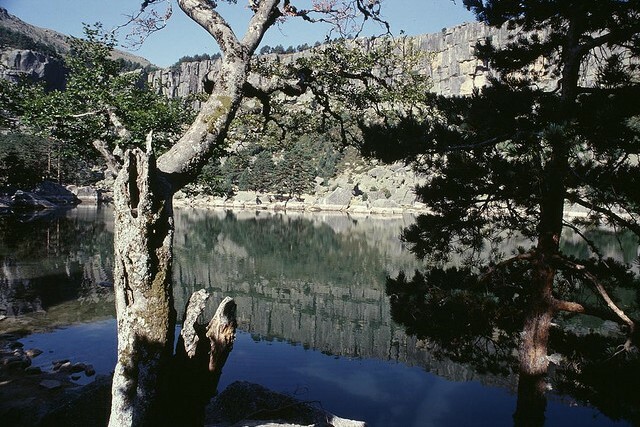 You can get through the N-234 Soria-Burgos up to Abejar, detour to the left direction Molinos de Duero, we find the reservoir Cuerda del Pozo (or La Muedra). 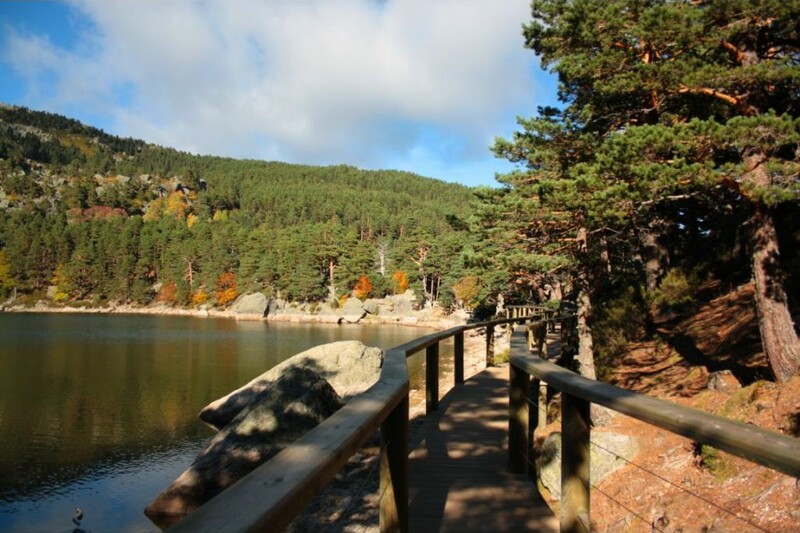 It is located between mountains, streams, villages, pine forests, oakwoods, legends, etc. it offers a beautiful landscape. This “sea of sweet wáter” is a beautiful place where you can find very beautiful places, such as: Playa Pita, Las Cabañas, Nautical Club, Peña Gamella, remains of the submerged village of la Muedra, and many sand beaches. It has some indicated áreas: parkings, barbecues, tables and wooden benches, trash cans etc ... Its waters are suitable for both water sports as fishing. About 45 km far away from Casarejos we find this dark, fascinating and enigmatic Lagoon, full of legends, it builds one of the most beautiful landscapes of the province. It is about 2000 meters high, among granitic walls and surrounded by endless pine forests, provide to this Lagoon its dark and sinister appearance that reaches its maximum beauty when it is covered by snow and ice. The landscape of the Black Lagoon is the result of the action of the ice during the glaciations of the Quaternary. It is in a cirque, typical shape of the Glaciers, of vertical walls of quartzite and limestone. From the Black Lagoon you can start the climbing to the Peak Urbión (2.228 m) where the river Douro is born, climbing up along a steep path that exceeds the headlands on the South size. It receives us at the top, in the term of Covaleda, the shaved and rough mountain.